If human influence is the primary culprit from burning fossil fuels, what can the average person do to offset their energy consumption to a green alternative? The National Oceanic Atmospheric Administration (NOAA) released a report on Wednesday, August 17th stating that July 2016 was the warmest month ever recorded globally. For 15 consecutive months, temperatures have risen above normal monthly averages and is the longest stretch of rising averages recorded since the founding of the NOAA 137 years ago. The debate is still out on the scope of influence human behavior has contributed to these rising temperature trends with the consumption of traditional fossil fuel energy sources. However, in a Gallup.com poll, 73% of Americans say they prefer emphasizing alternative energy solutions over their oil and gas counterparts. If almost 3 out of 4 people prefer renewable energy solutions, how can the average homeowner invest in these green technologies without the large upfront investment like that of expensive solar installations? For the past half decade, the UK has been leaving fossil fuels behind and has turned to Green Energy technologies. In 2015, 25% of all energy produced by the UK was from alternative energy sources which surpassed coal (22%), half of which was generated by wind. According to the American Wind Energy Association, the United States invested $128 Billion dollars to wind energy solutions over the last 10 years. This investment has lead to the capacity generation equivalent of 20 million American homes powered by wind per year. 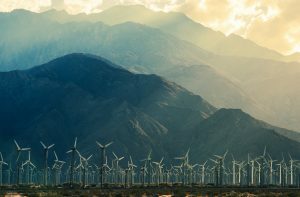 If the general consensus among Americans is to expand the investment to renewable sources in the short and long term, Town Square Energy wants to show every homeowner paying an electric bill how to get in on this energy revolution and contribute to the growing trend in wind energy investment. An investment that not only cuts down on our consumption of traditional fossil fuels but also creates thousands of jobs in a new energy infrastructure across the nation. When switching from a traditional “brown” energy plan to a 100% green energy plan, someone from the power company doesn’t need to come to your house and plug you into a wind-turbine. The national energy grid from where you receive your electricity is a complex system that is fed from an array of energy sources. All of these sources combined feed the grid as a whole and generate different amounts of power based on the need for electricity at any given time. When the need for energy increases, more power is fed into the grid from all of these various sources to meet the demand of everyone using electricity. Town Square Energy participates in the purchase of Renewable Energy Credits (RECs). One single REC is a commodity that ensures for every single REC purchased, one megawatt of energy from a renewable source was generated. Town Square Energy only purchases RECs from 100% wind-generated sources. When you enroll in a Town Square Energy ‘Power Your World’ electricity plan, Town Square Energy purchases RECs on your behalf, meaning that every kilowatt-hour of electricity you use, is offset by the REC and you are directly investing in Green Energy portion of the grid. The more people who make this switch to use RECs to offset traditional energy sources, the more investment is made to producing renewable energy. Making the switch to investing in Green Energy is incredibly simple. An enrollment process where we take the information you provide (securely) and alert the utility that Town Square Energy is now purchasing electricity on your behalf. 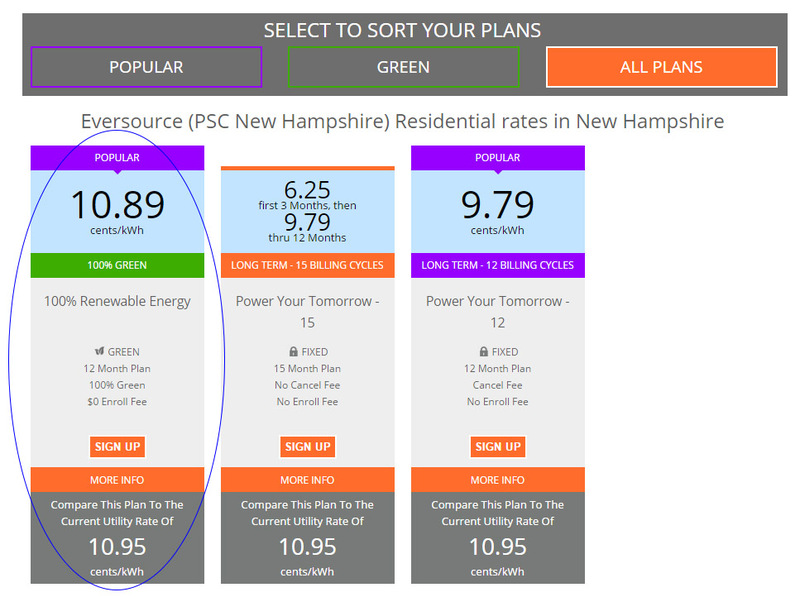 Before switching, you will see the cost of the rate you will pay for your electricity (represented by kWh) which in a lot of cases is lower than the current standard “brown” energy plans provided by the local utility. The rate is fixed for a specified term length, meaning your rate will not change for the disclosed term. There is typically no enrollment fee for switching and you may cancel at anytime without penalty. Once you near the end of your term, Town Square Energy will alert you at which time you can decide to cancel or continue service with a new rate.